Being good at what you do is not enough. Leading requires seeing yourself in new ways—now, and over the course of your career. Duke Executive Education is designed to provide the strategies and tools that ensure you’ll become what you need to be next. Built around current research and trends in management, our programs help you solve current challenges while providing frameworks you can apply over time. You’ll learn from the same world-renowned faculty who teach in our MBA programs, while going beyond your comfort zone in innovative exercises that encourage you to absorb new perspectives. Whether you're a new manager or an experienced executive, Duke Executive Education's portfolio of open enrollment and tailored programs will help you grow. 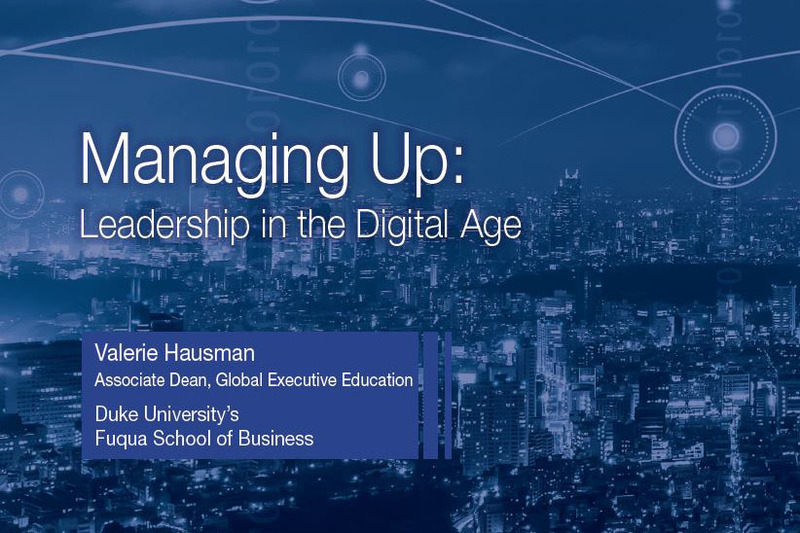 Earn Duke's new Certificate of Leadership & Management when you complete a customized learning experience that equips you with a solid grounding in leadership and enables you to choose electives in management, communication, negotiation, finance, decision-making, or health care strategy. Business decisions can involve participants with conflicting goals, and occur in the face of emerging factors driving changes in the marketplace. Reliable strategic decisions require an understanding of how to interpret data in your current environment. This 3-day program will empower you to be more confident with data-driven decisions. Over 5 days, this program offers professionals at all levels an opportunity to understand and improve their individual leadership style. Whether you have leadership responsibility or are preparing to assume a new role, you’ll learn about your innate strengths and build solid and enduring leadership behaviors. 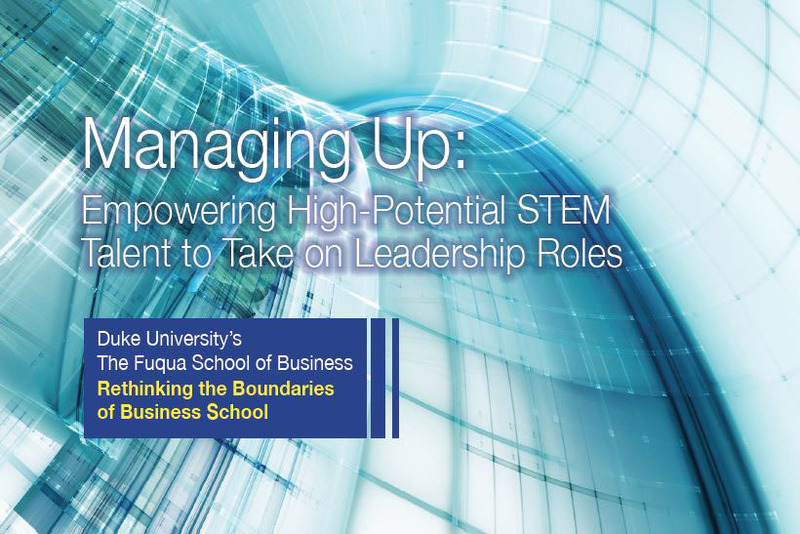 This 3-day program translates the science of management into practical insights and actionable strategies for professionals who guide and support teams. You’ll discover techniques and skills to improve team decision making, manage conflict, and establish a culture that fosters innovation. During this 3-day program, health care leaders learn new perspectives on the rapid changes in health care. You’ll understand how different sectors within the industry are upending business models and re-evaluating their approach. As a professional who needs to interface with the public and stakeholders, you will learn to adapt your message to different audiences, build your personal and professional brand, and develop disciplined communication strategies in this 3-day program. Negotiation is an art and a science. In this 3-day program, you’ll learn a number of techniques to influence negotiations. You’ll also gain practice using strategies that capitalize on each party’s strengths while leveraging different perspectives around the table. Understanding the elements of financial reporting and interpreting the components of financial statements will enable you to use financial information as a strategic tool in decision-making. In this 3-day program, you’ll gain a sound financial foundation to drive successful strategies from any part of the organization. If your development goal is to strengthen an internal team or build teams across departments or divisions, a tailored program is often the best solution. Learn how our faculty and staff work with you to create a program that fits your specific needs. Discover "Business and Bagels" and attend one of our upcoming events. If you graduated from one of Fuqua's degree programs, you may attend our open enrollment programs tuition-free. Sign up for information about our Executive Education programs.